Rommy "Squirrel" Gandolph is a Yellow Man, an inmate on death row for a 1991 triple murder in Kindle County. His slow progress toward certain execution is nearing completion when Arthur Raven, a corporate lawyer who is Rommy's reluctant court-appointed representative, receives word that another inmate may have new evidence that will exonerate Gandolph. Arthur's opponent in the case is Muriel Wynn, Kindle County's formidable chief deputy prosecuting attorney, who is considering a run for her boss's job. Muriel and Larry Starczek, the original detective on the case, don't want to see Rommy escape a fate they long ago determined he deserved, for a host of reasons. Further complicating the situation is the fact that Gillian Sullivan, the judge who originally found Rommy guilty, is only recently out of prison herself, having served time for taking bribes. 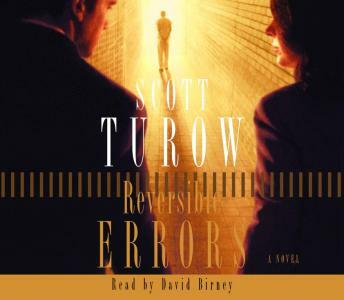 Scott Turow's compelling, multi-dimensional characters take the reader into Kindle County's parallel yet intersecting worlds of police and small-time crooks, airline executives and sophisticated scammers--and lawyers of all stripes. No other writer offers such a convincing true-to-life picture of how the law and life interact, or such a profound understanding of what is at stake--personally, professionally, and morally--when the state holds the power to end a man's life.